We are a one stop shop for all your worktop needs, we do templating, supply, and installation. We also sell sinks, glass splashbacks, and can design German kitchens. 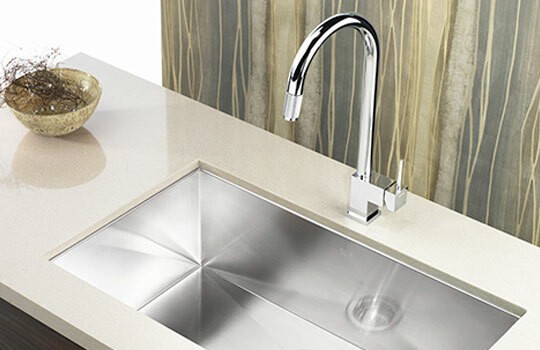 SurfaceCo has trade discounts with well known sink manufacturers from Europe, we can supply the sink together with your worktop for a discount, or you can purchase the sink by itself. Discover the extensive range of different styles of sinks and contact us for the price! SURFACECO has been supplying quality stone (Granite, Marble & Quartz) worktops to individual and corporate clients.